An inmate from West Virginia broke out of prison in disguise. He was dressed as a civilian. Todd Wayne Boyes, 44, was captured by police after four days on the run, according to the state’s Department of Military Affairs and Public Safety (WVDMAPS). He was first taken into custody in Laredo, Texas, a spokesman for the department told CNN. Boyes was recaptured on Sunday, Oct. 29, at 4 a.m. ET, trying to cross the Rio Grande into Mexico, according to WVDMAPS. CAPTURED! #WV jail fugitive Todd Boyes caught crossing Rio Grande into Mexico fr Laredo, TX, 4am EDT; @WVStatePolice told by @CustomsBorder. “After a medical evaluation, Boyes was taken to the Webb County Jail, according to the information provided to our state police,” Messina told CNN. Boyes escaped on Wednesday, Oct. 25, after getting his hands on khaki pants and a dark green or gray zip-up jacket. He was able to walk out of the South Central Regional Jail in Charleston, West Virginia, just before 6 a.m. It took staff until 7 p.m. the next day to realize Boyes was missing, CNN reported. Over that time period, there had been three formal head counts and two informal counts during the night. It was not until prison staff reviewed the security camera footage that they discovered he’d escaped. At that time Boyes had gotten at least a 36-hour head start. According to CNN affiliate WCHS, Boyes was due to be sentenced to a minimum of three years and a maximum of 20 years in prison on Friday. Boyes had a history of carjacking people at gunpoint in Ohio, said Sgt. Leslie T. Goldie, a spokesman for the West Virginia State Police. Last month he pleaded guilty to fleeing with reckless indifference to the safety of others, possession of a stolen vehicle, and fleeing from police causing bodily injury, according to Messina. As of writing, it is still not known how Boyes managed to escape without jail staff being alerted. There is an ongoing investigation into whether the proper protocol for the head counts was followed. 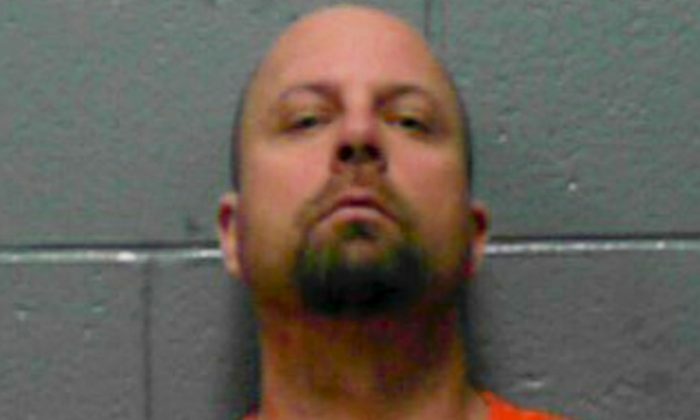 “Officials at both the Regional Jail Authority and the Department of Military Affairs and Public Safety consider the incident to be a grave and unacceptable breach of our core duty to protect our fellow West Virginians,” the department said in the statement. A Charleston lawyer, Kevin Davis, claims that he had alerted jail staff to the escape of Boyes on Wednesday, WCHS reported. But he said they did nothing. Davis had a client in jail who called him on Wednesday morning wanting to share “life or death” information, WCHS reported. The lawyer went to the jail around 4 p.m. and the inmate told him that “Todd with his fingers shot off” had escaped the jail early that morning. “Four facility officers have been suspended without pay pending the completion of the investigation,” Messina told CNN.